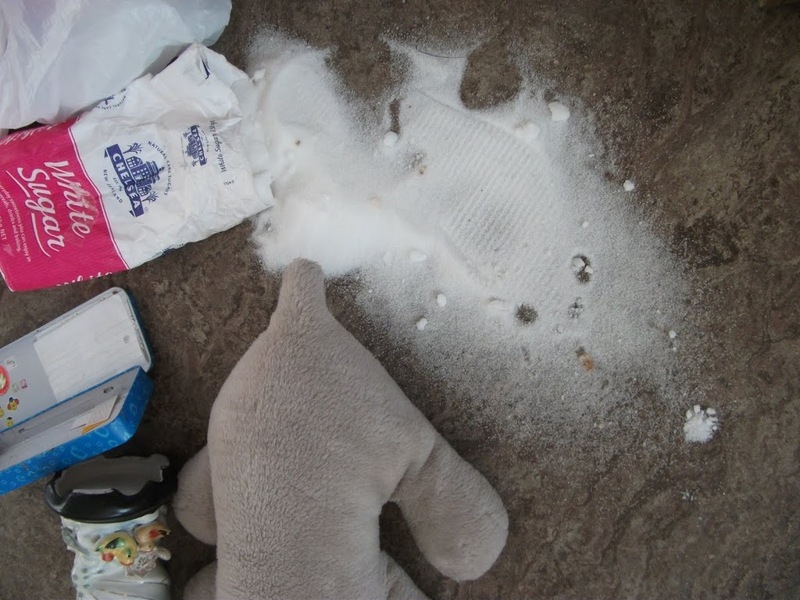 This term as our inquiry focus we are looking at How Does Science Help us Solve Mysteries? My first thoughts were “Wow, this is going to be to hard to make it work” and boy was I correct. It is such a huge job putting everything together but is it worth it – HECK YES! We have now completed 2 weeks back and 2 full on weeks of hooking children into our inquiry and it is going amazingly well. 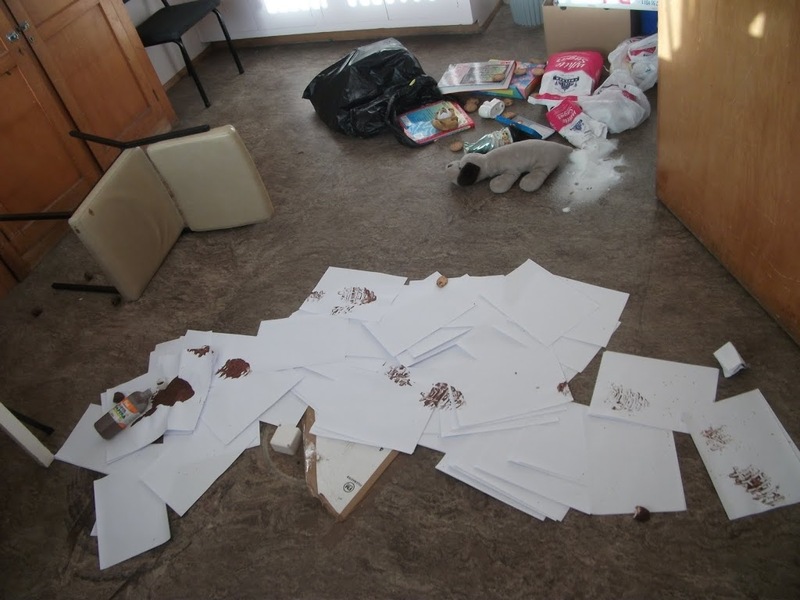 Over the holidays there was a “crime” in the dental clinic at school and on day 1 the children were presented with police tape and a letter from the police announcing that someone had broken in and some PTA equipment had been stolen. 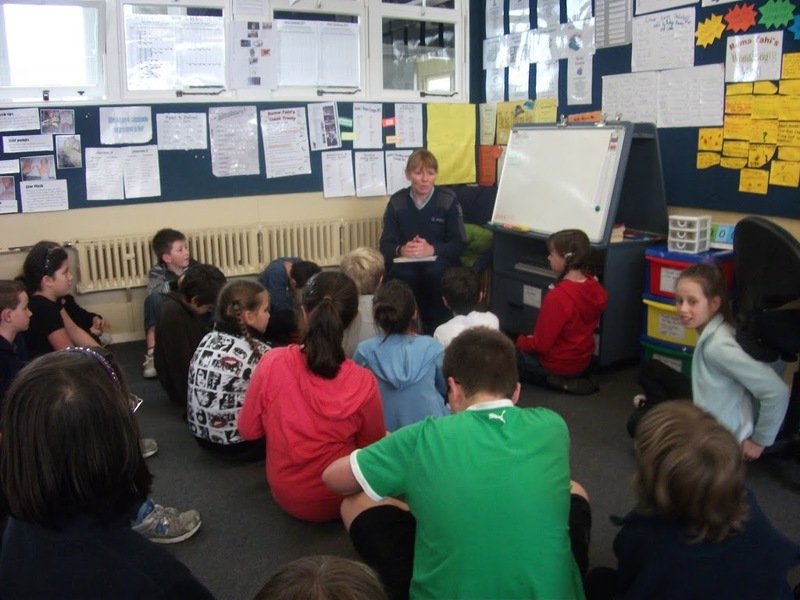 We have got local Dunedin Police on board and the children are running this whole inquiry from scratch so our planning is limited but we are finding the buy in is much better when it is student owned. 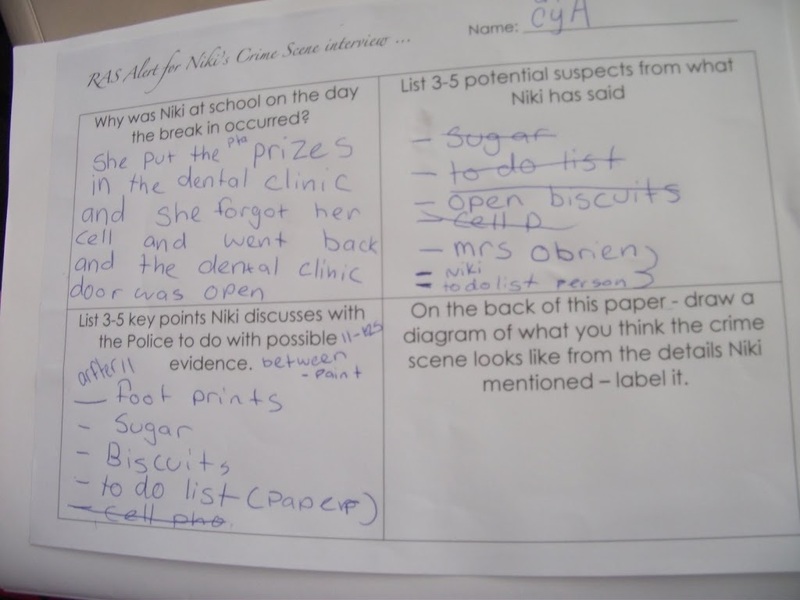 We have an “Official Police Interview” with our PTA president who discovered the break in which the children analysed using a RAS alert sheet (see below). 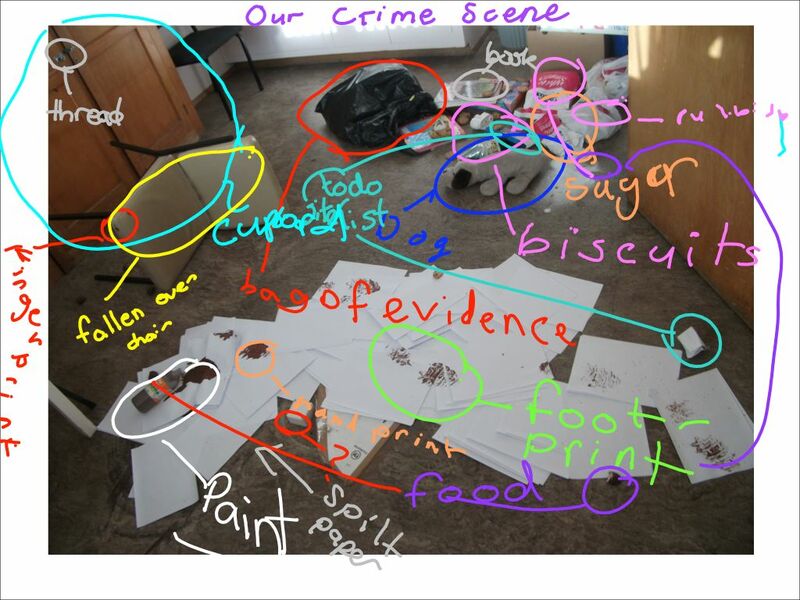 We have just been “sent” photographs from in the crime scene from the detective who are investigating our crime and the children have been analysing what they can see. 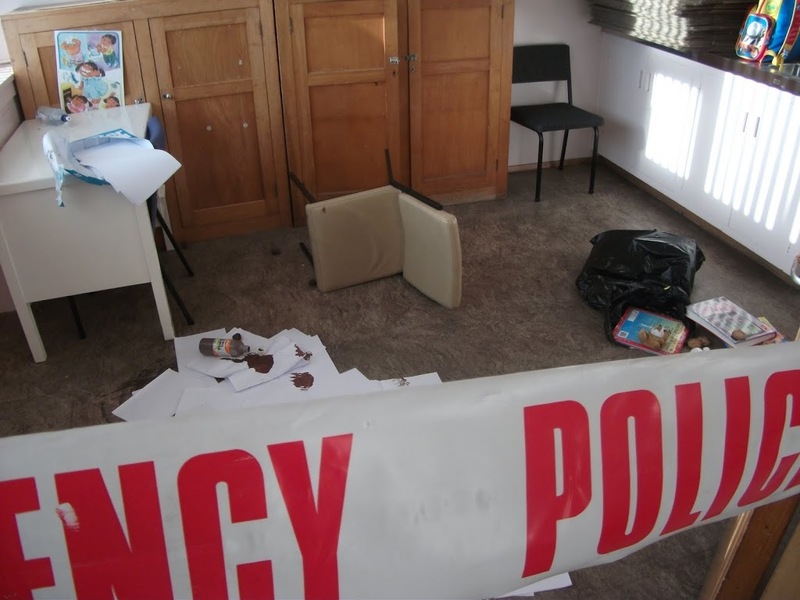 The children are excited about getting into the dental clinic tomorrow and, for the first time, looking first hand at what they can see (from behind the police tape in the clinic). On Wednesday we are lucky enough to have our community constable coming in to teach the children how to fingerprint (after they requested her assistance). 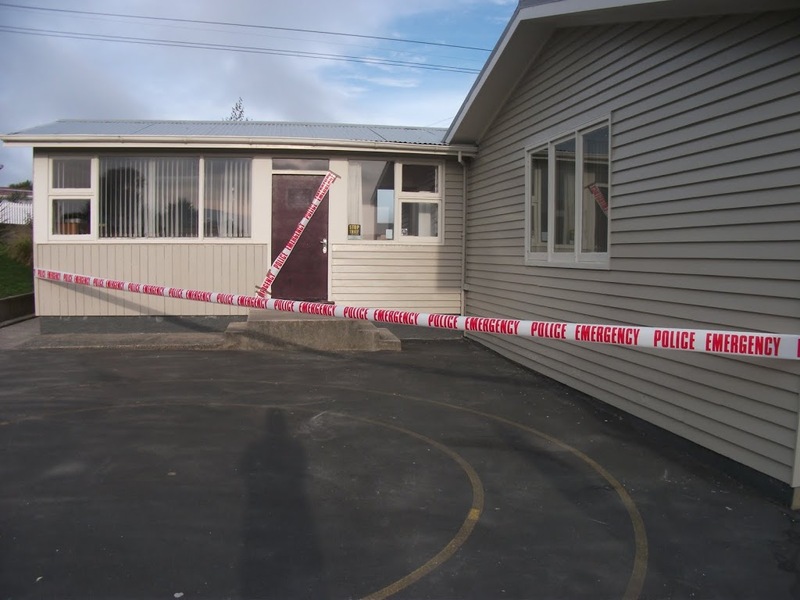 On Friday we are off to the Dunedin Police Station to look around and chat to their Crime Scene Investigators and much more. The hook on the first day was the best and most important part of this inquiry and the support from the community has been amazing – watch this space and watch our class wikispace for updates on what is happening with our inquiry. 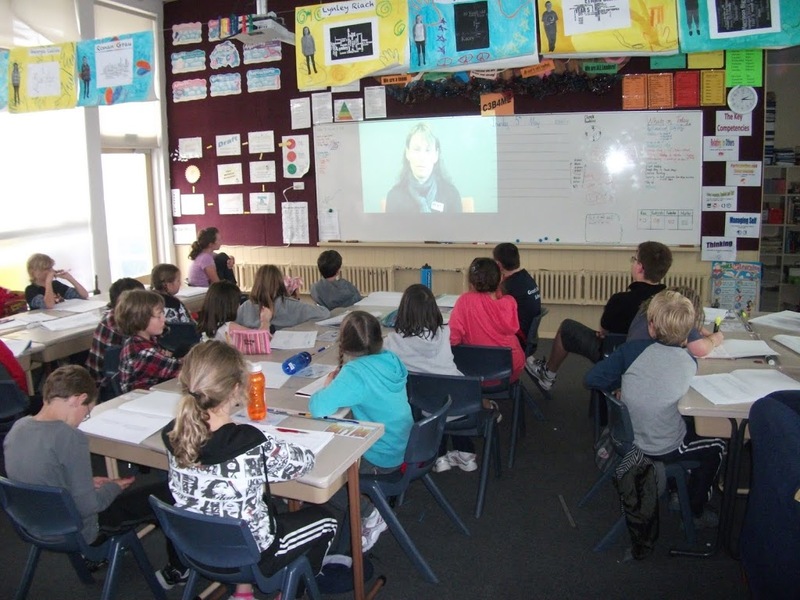 To me this type of inquiry is what it should be all about …….. very exciting for both staff and students! I found your page while I was busy making my own detective/crime scene investigator unit for my homeschooled kids. It’s a month long unit and some of the fieldtrips include talking to a K-9 detective, lab, dental clinic (dental impressions), firehouse (Fire Investigators and Arson), and a Gun Range (Fire-Arm Safety). I love how much work you put into this.